When I became a parent I read many parenting books and manuals on how to look after a baby, feeding, bathing, dressing, sleeping. I didn’t have a clue. And then when Kara became a toddler I would read manuals on how to deal with tantrums and potty training. 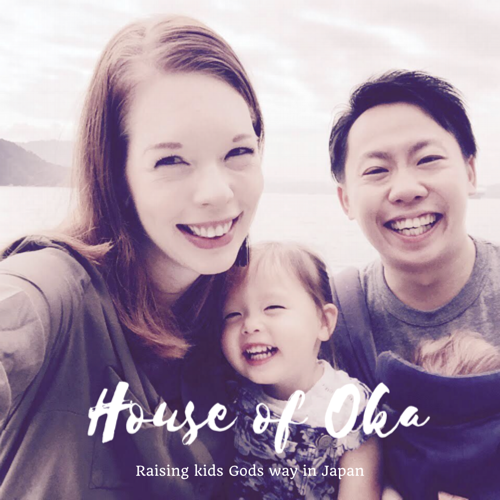 There is lots of info out there about how to raise your kid, but as I first became a parent one of the things I didn’t really give much thought to, or get a manual on was on my family environment.I never really stopped to think about what environment I was providing for my daughter, for her to rise up to be a strong, woman who loves God and people. The environment we are providing as a family, has a huge affect on our kids and how and who they grow up into. But it is easy just to go by everyday with what we have to do, our work, our housework, play with the kids and not have the time or energy to really put effort in to make a great environment, or to grow as parents to create that great environment. Sometimes we may just not know what a great environment really consists of. So these are the factors that I try to focus on to improve our family environment and make the best possible environment for our kids! I always try to make our home fun, full of laughter and joy. That means sometimes I have to let go of my routine and things I have to do, sometimes the washing needs to wait and we need to make play dough castles instead, either that or we will make folding the washing fun by jumping on the bed whilst mummy tries to fold. It also means sometimes I have to relax more, so dance parties for everyone after dinner, making a mess whilst we cook, going out on spontaneous adventures. Sometimes I need to let loose and let them choose what they want to do too. I’m happy that when I asked my daughter does she want to live in ‘Peppa pigs’ house or our house, she chose our house! I hope that means it’s a place that is fun for her, a place she loves! I think a fun environment also means that we are there and available, not busy working, or doing housework, or for dads being at work long hours. We need to be there to be part of their routine and be interested in what they are interested in. They are our priority not our hobbies or jobs. I don’t want to be so busy that I miss out on the most important things in my life, my kids! There is the saying that children do what their parents do and not what they say. This is true to some extent and especially true when it comes to my daughter. I see a mini me in her often when she is bossing her brother around or even her dad. And I also see so much of my husband in her when she is acting crazy and rebellious!! There are lots of ways to discipline and I’m not going to go through them all or even how we discipline, all children need to receive correction and advice. But I realized that I also need to be someone who can receive assistance and advice and at times correction from my husband too. I need to be teachable too, if I expect my children to be teachable. No matter how I am disciplining my child I always try to do so with love, acceptance and encouragement. I need Kara to know that no matter what the punishment I still love her and accept he for who she is and my love for her is not based on what she does or doesn’t do, even though I don’t agree with her actions. So after she has had her time out or punishment I always come back to her, hold her hands and let her say sorry, explain why it was wrong and then tell her I forgive her, I love her (and also ask her to forgive me if I got a bit angry…!) and then pray with her. Plus I give her a super big hug to reassure her! Kids love to be close to us physically and feel love from that, especially at this age. How we discipline should always be out of love and not anger. I believe it’s never to young to start teaching your kids about God and Christian values, and a lot of this comes from what I say or do. It’s not just about reading the Bible at night and praying, but also about teaching them how to apply that in their life. So it means explaining to them why we need to share, why we need to obey our parents, why we need to be kind to others. That also means I need to obey my parents and at times share my cake with daddy. It’s also important to teach them how to pray and be thankful. When we pray at night I always ask Kara what she is thankful for, she may only be 2 but she can tell me, whether it’s “bath” “school” a “candle” – they could be really random things but we pray and thank God for it. These small Godly values I try to install in my kids everyday. How we speak to each other in a family is so important. How I speak about my children and my husband, sets the tone for our house and family. I want how I speak to my husband and about my husband to my kids, and how I speak about our friends and people around us, to be positive. My tone and how I speak can build or break relationships in our family. So I want to speak lovingly towards and about my husband, not full of complaints or negative attitudes. The same goes for what I speak want the words I speak to be positive and hope filled, not negative or full of complaints. I want my children to know God loves them and has a plan for them, speak encouraging words about their future allowing them to dream and get vision for their life. I want to encourage them to discover the strengths that God has given them not focus on their weaknesses or mistakes. I want to give them chance to get a vision for their life as they get older, allowing them to dream without limits, not limiting them with my own small views. These are just 4 factors I try to focus on in our family environment. But this is an area we need to grow in in all the time. How about you? What do you do to create a great environment in your family? What factors do you focus on? Let me know! I would love to hear and be encouraged to try something new too! What a great post! I completely agree with you. Very inspiring! Thank you for sharing!